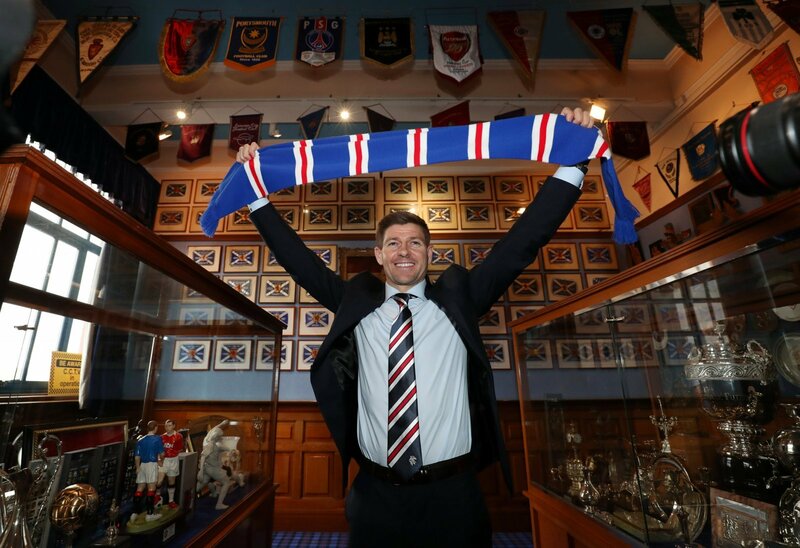 Opinion: Steven Gerrard clearing decks at Ibrox is the best thing he could be doing right now | The Transfer Tavern | News, breakdown and analysis on all things football! Steven Gerrard’s been a busy man so far this summer. The Liverpool legend has been on the hunt to bolster his squad and has already made seven signings this summer. For all the Rangers fans in the Transfer Tavern, Gerrard is also looking to clear out some of the deadwood from the squad. With both Umar Sadiq and Dominic Solanke linked with moves to Rangers, it’s clear that Gerrard is looking to freshen up the striker position. According to the Scottish Sun, Sadiq is close to joining the club on a season-long loan deal from AS Roma. The 21-year-old is expected to join the club and be apart of their buildup to their Europa League qualifying game against FC Shkupi. The player who is apparently moving the other way is Eduardo Herrera. The 29-year-old striker joined the club from Mexican side, Club de Futbol Universidad last year but has failed to impress at the Ibrox, only managing two goals in 24 games according to Transfermarkt. Due to that poor form, the Mexican international has fallen behind the likes of Alfredo Morelos and even Jason Cummings. According to the paper, Herrera is set to go back to Mexico and join Mexican club, Toluca although he has two years left on his current deal. It seems Gerrard is in a rush to build a squad that can get Rangers back to winning the Scottish title. With at least eight signings looking likely, it looks as though it’s going to be an exciting summer transfer window for the Gers. By moving Herrera out, he’s going some way into changing the mentality at Ibrox, clearing decks and moving to eradicate memories of the terrible Mark Warburton and Pedro Caixinha eras.